Instagram is a bit of an enigma for just about every blogger and entrepreneur I talk to. Most of them really want to grow their Instagram platform, but they’re not sure how to do it, especially when their follower numbers have been stagnant for months and constant algorithm changes leave them wondering what’s really working. That’s where having a go-to Instagram expert comes in. Jessica Norby is my expert when it comes to Instagram. She spends all day reading and thinking about Instagram so we don’t have to. I absolutely love how Jess distills complicated Instagram strategies down to concepts that we all can understand. And, I love that she emphasizes the importance of authentically growing your following on Instagram instead of using spammy or underhanded tactics. Listen to the full episode to hear all of Jess’ suggestions for growing an engaged Instagram audience. And, she throws in a few specific tips for authors, too. It’s a great episode I think you’ll enjoy whether you’re an author, author-to-be, or just someone trying to grow your Instagram account. 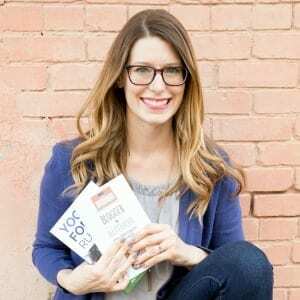 Jess is a social media strategist who specializes in working with small business owners. Through workshops and private consulting sessions, she helps them maintain an active and consistent presence on social media, establish and feel comfortable executing a social media strategy, and ultimately grow their business! Grab Jess’ free Instagram Stories guide!